Tom Ypsilantis was one among those who discovered the Antiproton. He contributed to the development of the Ring Image Cherenkov detector, an important device in high energy experimental physics. Samios experimentally provided the first verification of Gell Mann's Quark model. In an experiment among thousand of images of particles formed after the collisions of elementary particles the characteristic decay pattern of the Omega Minus particle was discovered. John Iliopoulos contributed to the development of the standard model. 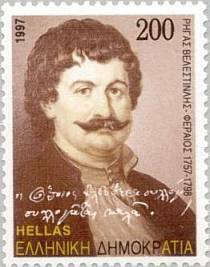 Christofilos invented independently with others the strong focusing principle that allowed to increase the particle beam energy. Without this many discoveries would be impossible. Unfortunately for whatever reason he did not receive the Physics Nobel Prize even if later the prize was given for the stochastic cooling method and the W/Z bosons discovery. Christofilos worked for the US military in projects such as the use of ELF (extremely low frequency waves) for submarine communication that requires gigantic antennas and amount of power to operate. He also had the idea of the use of nuclear explosions in the atmosphere for the production of artificial radiation bellts. An effect of these explosions is the damage of electic/electronic devices over very large areas. He can be considered as the Greek Tesla. Melissinos had the idea of Muon Storage Rings. In the last few decades theoretical physicists developed some theories not yet confirmed. Some are mathematical very complex and not yet in a final form or their experimental verificiation is not possible in the laboratory (with some exceptions as the theory of Dimopoulos and others about extra dimensions and their effect could be detected from gravity experiments). An idea is to confirm the theories from astronomical/astrophysical observations some proposed by various physicists including Nanopoulos, Kalamara and others. 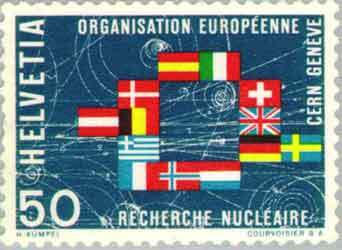 Other contributions of Greeks in applied physics (Nicolis, Joannopoulos, Pnevmatikos, etc.) in fields such as statistical physics, solid state physics, chaos theory, etc. Metropolis was one of the authors (including Edward Teller) of one of the most important Monte Carlo papers. The Monte Carlo method is widely used in all fields of science. John (Ioannis) Argyris contributed significantly to the Finite Elements method used to solve engineering , scientific/technological problems. 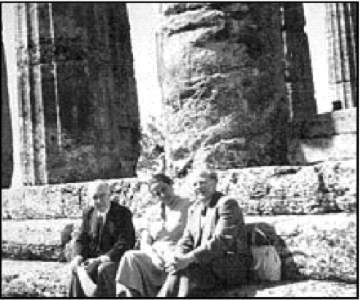 Niels Bohr, and Werner Heisenberg on the right side with his wife in Greece (Acropolis , Parthenon 1955), Heisenberg's father was a professor of medieval and modern Greek studies at the University of Munich in Germany. Heisenberg had more a “humanistic” education, i.e. more Latin and Greek than in natural sciences. John D Joannopoulos (or Giannopoulos) (26.4.1947 New York) Theoretical condensed matter physics, The MIT Joannopoulos Research Group ,David Adler Award of the American Physical Society, > 400 journal articles, two textbooks on Photonic Crystals, and 20 U.S. patents. Michael Tatarakis , Imperial College of Science in London, and his Group produced the strongest magnetic field on Earth (34000 Tesla). http://www.slac.stanford.edu/spires/play/authors/2004/top_5_rank.shtml While Nanopoulos and other are among the first of the topcited list, others now perform better in the number of citations from publications in the last 5 years such as George Papadopoulos with rank 65 and Nanopoulos rank 111. It is scarcely an exaggeration to say that even in 1900 the only new idea to Leucippus's theory was that each chemical element was identified with a separate atomic species. David Park, The How and the Why: An Essay on the Origins and Development of Physical Theory. Princeton NJ: Princeton University Press, 1990. What is the sense of human life? he (Anaxagoras) was asked; “to look at the sky, the stars, the moon, the sun,” was his response. Iamblichus, Protrepticus 51,11 = Aristotle, Protrepticus Fr. 11 Ross, and Eudemian Ethics 1216a11 = DK 59 A 30. Harry C Gatos (1921 Athens) (Info) NASA's Award for Exceptional Scientific Achievement (1975), Gold Cross of Order of Merit of Polish Republic (1980)1992 International Gallium Arsenide and Related Compounds Award and the Heinrich Welker Gold Medal.